The Youth Service Opportunities Project (YSOP) is delighted to welcome full-time AmeriCorps Members and YSOP Fellows Rich Henderson in Washington DC and Laura Tierney in New York City. Laura and Rich took the AmeriCorps Pledge together on Friday, September 7th, 2012. They spent the day in YSOP’s New York office learning about AmeriCorps and Catholic Volunteer Network They also heard about the history and principles of YSOP’s 29-year-old service learning program, enjoyed lunch with YSOP’s senior staff and had an introduction to Quakerism over an afternoon coffee pastry. 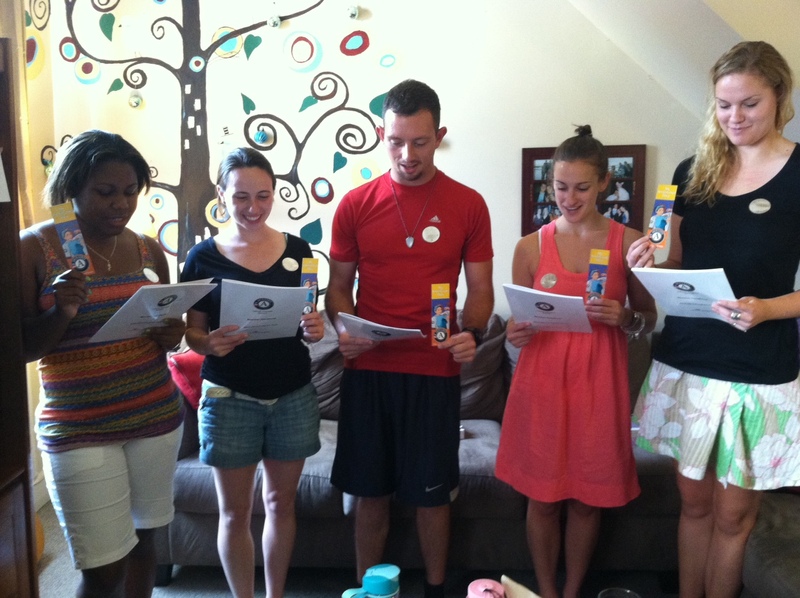 YSOP feels lucky to have such energetic, intelligent and caring AmeriCorps Members on their team! ﻿﻿﻿﻿In August, AmeriCorps Assistant Coordinator, Barbara Wheeler, joined Lutheran Volunteer Corps for their 2012-2013 Americorps orientation in St. Paul, Minnesota. LVC began in 1979, and has been a CVN AmeriCorps Member since 1998. LVC places about one hundred CVN AmeriCorps Members in cities such as Chicago, Minneapolis, Atlanta, Seattle and Washington, DC. with Catholic Charities of Baltimore on August 24th. They enthusiastically embraced the week learning about Catholic Charities, intentional community, social justice, simplicity and sustainability. Their week included a trip to the Baltimore Farmer’s Market to learn about local food sourcing, a tour of the bus system in Baltimore and a special trip to each Catholic Charities program where the Member will be serving. If you’re interested in becoming an AmeriCorps Member, learn more here.